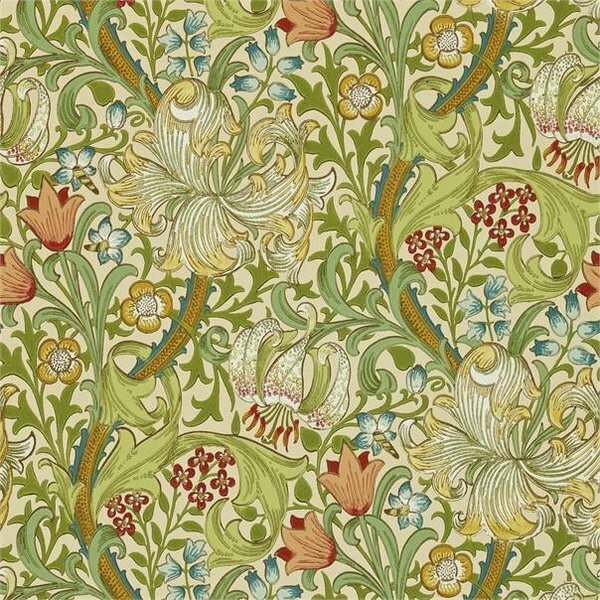 Have nothing in your house that you do not know to be useful or believe to be beautiful is a statement from the late William Morris. 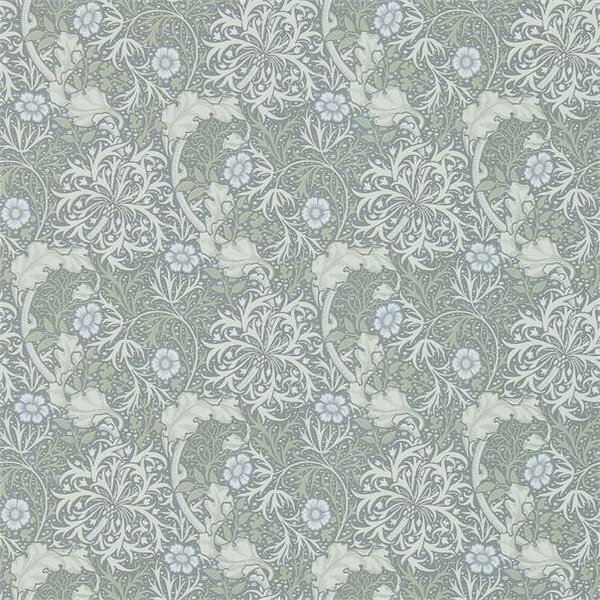 To celebrate the eminent Morris & Co. design archive and one of the most outstanding figures of the Arts and Crafts Movement, Morris & Co launch The Craftsman Wallpaper range which is a compilation of the finest wallpapers from William Morris & Co. 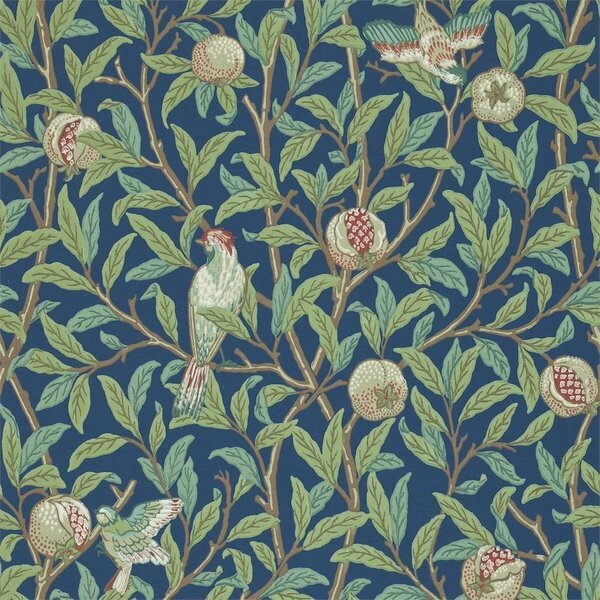 Incorporating timelessly popular authentic versions, alongside fresh interpretations of William Morris' original designs the collection houses sixteen designs from the iconic Strawberry Thief to Morris Seaweed. 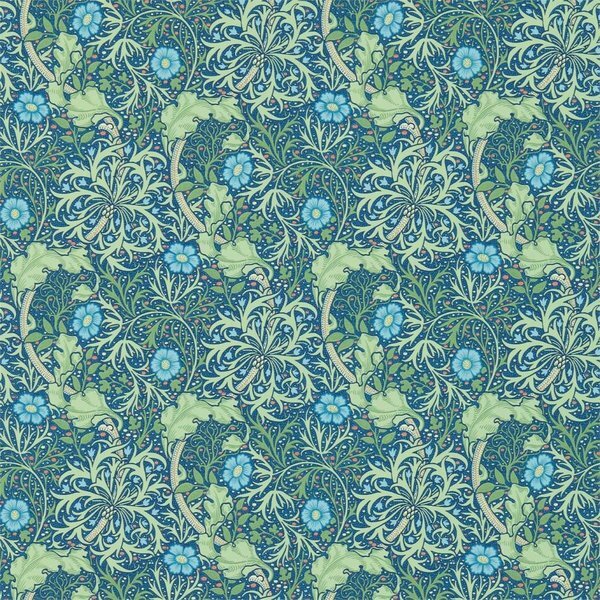 Choose for yourself what you feel are the most iconic designs. 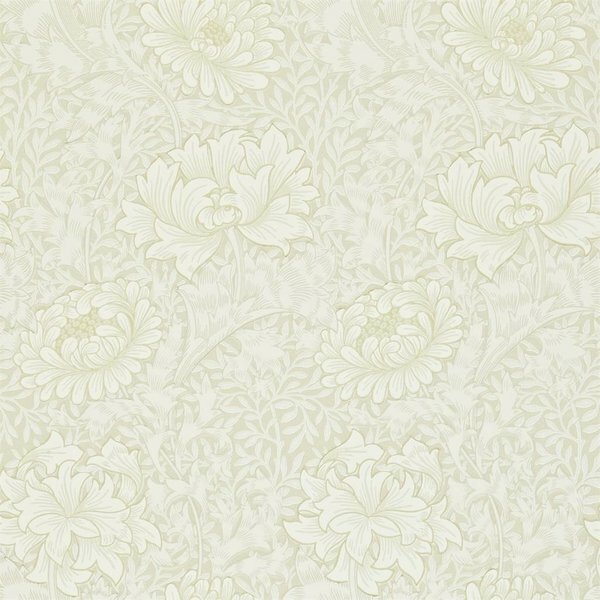 Chrysanthemum Toilehas been enhanced as this beautiful wallpaper, which was inspired by the metal outline of the embossed and gilded Chrysanthemum wallpaper produced by Jeffrey and Co. in the 1880s, has been highlighted in metallic inks using the surflex printing method. 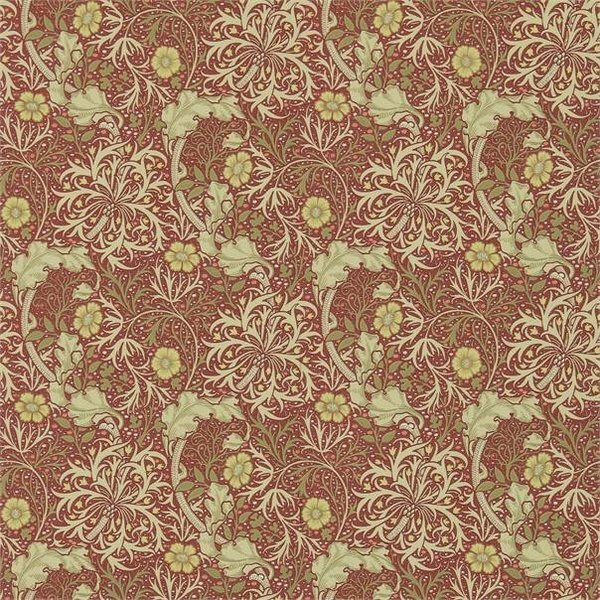 Pimpernel originally designed in 1876 has also been updated and is now available in five stunning colourways based on the originals. 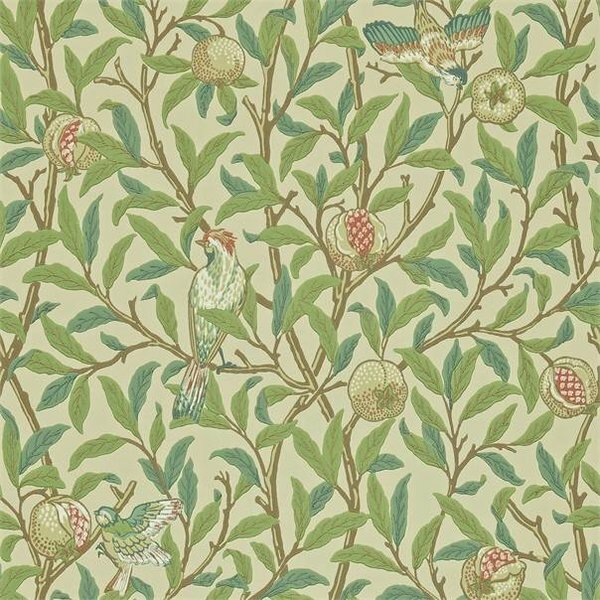 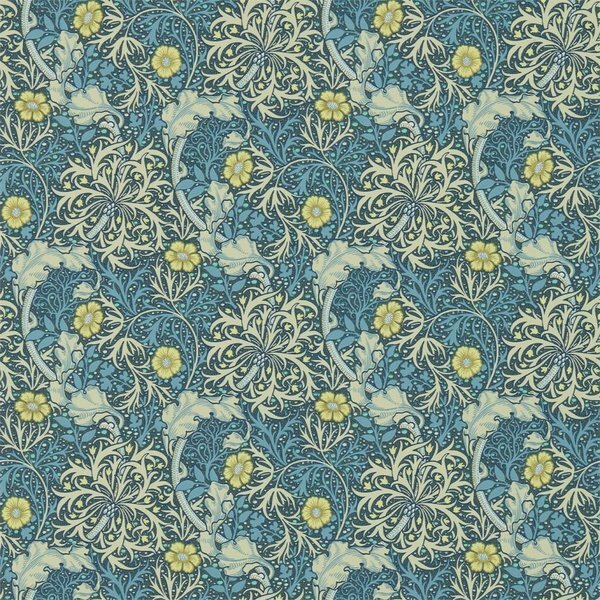 While Blackthorn which was designed for wallpaper by J.H. 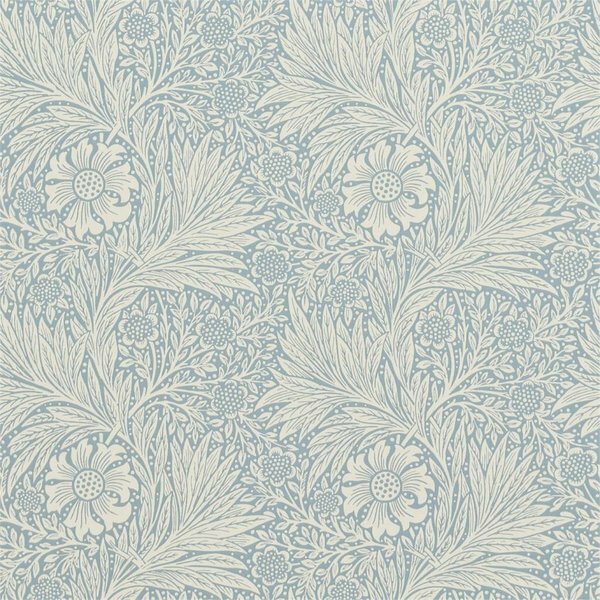 Dearle in 1892, has been reproduced in authentic colours matching the original wallpaper samples and mottled appearance. 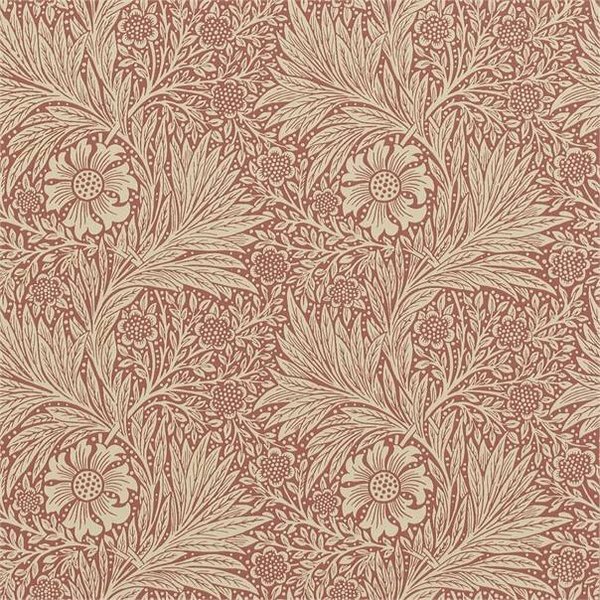 The collection also houses one of Morris and Co.'s greatest legacies Golden Lily which is available in six striking colourways. 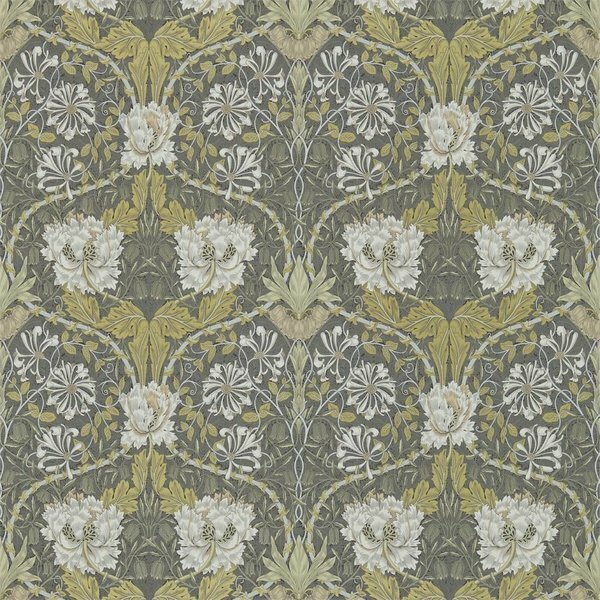 While not forgetting Honeysuckle and Tulip which was first produced in 1876 as an early Morris fabric design depicting entwined foliage and flower motifs in a mirrored pattern repeat, but here they have taken inspiration to convert the pattern to this fantastic wallpaper design. 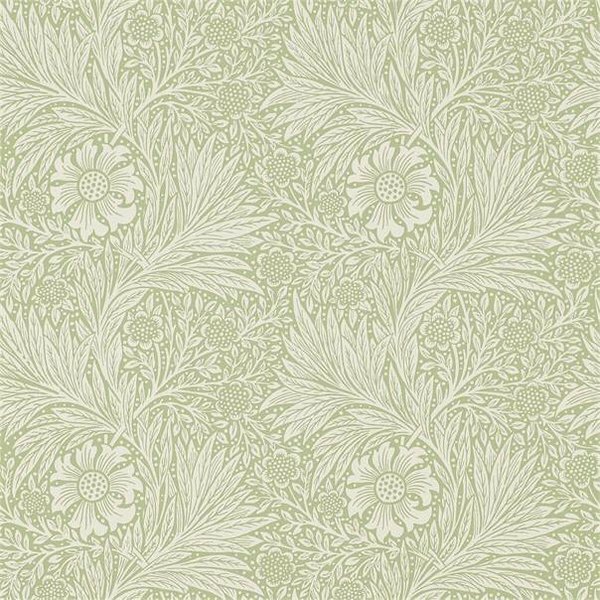 The Craftsman wallpaper collection is a tribute to the iconic Morris & Co. library and is beautifully complemented by The Craftsman fabric collection.